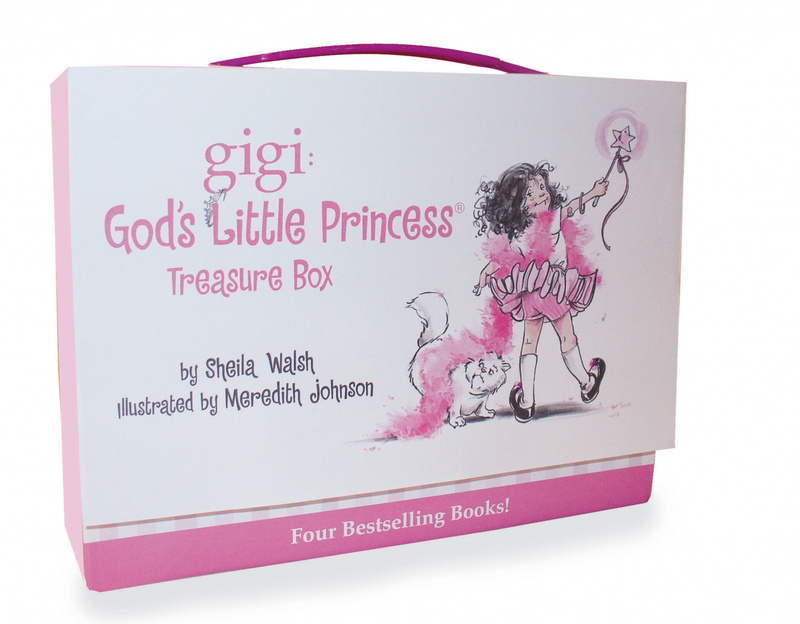 Gigi, God's Little Princess: 4 in 1 Treasure Box Set is four best-selling books in once convenient carrying case. This is the perfect little library of Gigi books in an easy to carry box. Perfect for carrying for over-nights or longer trips away from home. With giggle after giggle, little princesses will learn that we are all children of the king and that we all have different strengths and weaknesses but God will never give up on us, even when our choices fall short of being royal, and that God does not love us for what we do or how well we do it, but for who we are inside. These Princess themed books to capture the imagination and to encourage the message of God's love. 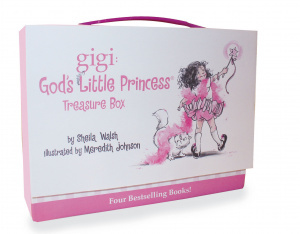 Gigi, God's Little Princess: 4 in 1 Treasure Box Set by Sheila Walsh was published by Thomas Nelson in October 2010 and is our 10777th best seller. The ISBN for Gigi, God's Little Princess: 4 in 1 Treasure Box Set is 9781400316571. Be the first to review Gigi, God's Little Princess: 4 in 1 Treasure Box Set ! Got a question? No problem! Just click here to ask us about Gigi, God's Little Princess: 4 in 1 Treasure Box Set . What age are these books for please? A:The books in the igi series are aimed at girls aged 2-4 years. What story books are included in the "Gigi, God's Little Princess: 4 in 1 Treasure Box Set and what format are they?